Most people are not selling homes in winter but sometimes a new job or a new opportunity presents itself and making a change is inevitable in the winter. When you have to sell your home in the winter, you have a couple of advantages. First, there are not many houses for sale in winter making your home one of the few homes available. You also have an opportunity to show off you home in a season that could be really beautiful. For people in winter areas, a snow covered home may be idyllic. And for people in warm weather months, cold weather people will be looking to warm up. 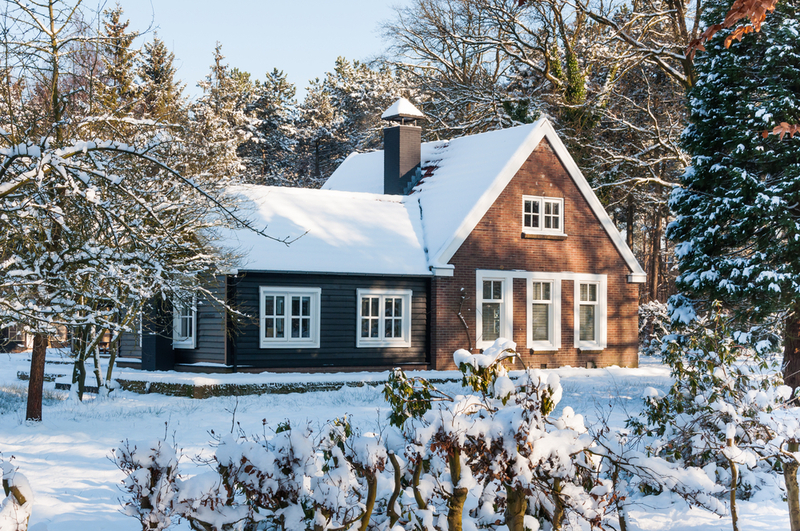 Now that you have some ideas about the value of selling a home in winter, what winter open house tips are the best to get your home sold. Winter weather brings wet and snowy weather making our shoes dirty. To avoid dirty shoes on your beautiful carpets and floors, keep a tray at the door asking people to take off their shoes. Or set up a bench and provide booties that cover shoes that will keep muck off your floors. If that is not good enough, leave a sign and ask potential buyers to remove their shoes and leave them outside by the door. Keeping dirty shoes from nice carpets will prevent you from hiring the carpet cleaners again. This holiday season comes with decorations galore. Keeping your decorations to a minimum will help new buyers see all of your home. Therefore, they can picture how their furnishings will fit in the home without a lot of areas crowded with Christmas decorations. Also keep the outside lights festive but a lighting contest is not necessary. You do not want to blind the potential new buyers. If you live in a snowy area, keep your pathways and walkways walkable. By keeping the walkways clear, you will truly showcase your home and not scare you potential buyers with a slip and fall. If you risk ice building up, add salt to keep everyone safe. Keeping lots of lights to help guide home lookers along the path is also important to help them see where they are walking. If you have a fireplace, get it working. If you have unique art or room lighting, show case the value of these features. When it comes to selling our homes, it is up to us to showcase the special areas that will make a difference. Turn on heated floors or towel racks in your bathrooms if you have them. In the middle of winter and with shoes left at the door, many guest may want to get their feet toasty again. People will be keeping their coats on as they walk and explore your home. So there is no need to keep the heat super high. Keep the home warm but not so hot that people feel like they are in Key West in August. Also remember to keep a modest temperature. You do not want chattering teeth either. With these simple tips, your home and your guests will be cared for and get a beautiful experience visiting your home. Because this wonderful experience will likely make some lucky visitors feel welcome and they will be the ones making an offer on your home.